The unnamed 21-year-old youth has been charged with murder after the grisly scene was discovered yesterday. 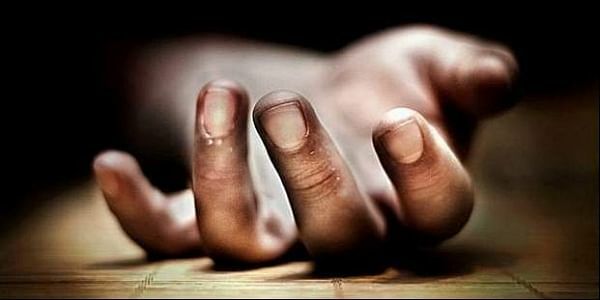 JOHANNESBURG: An Indian-origin drug-addict youth in South Africa allegedly hacked his parents to death and lived with their decomposing bodies for a week in their house in Phoenix, north of Durban. The unnamed 21-year-old youth has been charged with murder after the grisly scene was discovered yesterday. Police, who confirmed that a case of murder was being investigated, said the youth, who is the only child, apparently lived with his parents' decomposing bodies for a week. The youth lived normally for a week and when neighbours asked him about his parents, he said they had gone to a neighbouring town to visit family. However, a suspicious family member broke into the home and found the couple hacked through the head. The parents were named as Shoba Singh, 50, and Prakash Singh, 56, who was disabled after a stroke. "The youth was due to be sent to a drug rehabilitation centre by his mother," a neighbour told the weekly Post. Shocked neighbours described the youth as a "shy young man". "He never misbehaved and was also polite. He was a friend of my children and was in and out of my house but in the past few months I noticed a change in him. From being a neat and tidy child he started looking untidy and unkempt," said Raj Mayalal who lived next door to the family for almost 25 years. The murder came to light on the same day when another South African Indian man, Mogamberry Rajan Kandasamy, was given a triple life sentence for brutally killing his wife and two children with a mace. Sociologists have raised concerns about the growing incidence of violence among the normally peaceful Indian communities in South African townships created for them in the apartheid-era, such as Phoenix and Chatsworth, where Kandasamy lived. Social workers also made a plea to people to help fight the rampant scourge of drug addiction among Indian youths.